Autoimmune diseases affect more than 50 million Americans, but a Paleo diet can help calm your immune system, reduce inflammation, and help your body heal. This companion cookbook to the groundbreaking book The Paleo Approach makes changing your diet easy and economical with more than 200 Paleo AIP recipes, shopping guides, meal plans, and more. The Paleo Approach Cookbook walks you through which foods you should eat to calm your immune system, reduce inflammation, and help your body heal itself. There’s no need to worry that “going Paleo” will break the bank or require too much time in the kitchen preparing special foods. In The Paleo Approach Cookbook, Dr. Ballantyne provides expert tips on how to make the switch easily and economically. She explains how to stay within your food budget, how to make the best use of your time in the kitchen, and where to shop for what you need. Complete food lists, shopping guides, and meal plans take the guesswork out of eating to maximize healing. Don’t know how to cook? Dr. Ballantyne walks you through essential kitchen techniques, from chopping vegetables to using a pressure cooker safely. Armed with more than 200 delicious recipes, from breakfast staples to decadent desserts, you can reverse your disease and love every bite! The Paleo Approach Cookbook is available wherever books are sold. It is available on Amazon, at Barnes & Noble, from independent bookstores (find one near you using Indiebound) and at Costco! If you live outside the USA, you can purchase the book from BookDepository and receive free international shipping! It is also available on Kindle, iBooks, Nook and Kobo. The Paleo Approach is an incredibly important contribution to the health scene. Now, with The Paleo Approach Cookbook, you will be able to not only optimize your health, but also love every meal! In The Paleo Approach Cookbook, Sarah Ballantyne offers a clear, easy-to-follow guide to preparing delicious-yet autoimmune-friendly-Paleo meals. I look forward to recommending this book to all of my patients and readers following an autoimmune Paleo approach. With everything from cooking knowledge to meal plans and recipes, this book provides it all. Sarah has done an amazing job of making cooking easy and delicious. Grab your copy now. This is the ultimate guidebook for those battling autoimmune disease and looking for easy-to-understand answers. Filled with creative, inspiring, ingenious nutrient-dense recipes, this book will help heal and nourish your body! With The Paleo Approach, Sarah Ballantyne gave readers the incentive to make deliberate changes to drastically improve autoimmune symptoms. Now, with The Paleo Approach Cookbook, Sarah puts her solutions into practice using simple, comforting tastes that empower you to maintain or regain your health in the most delicious way possible. Thanks to Sarah Ballantyne and The Paleo Approach Cookbook, the thousands upon thousands of people struggling with autoimmune conditions now have a cookbook with reasonable, delicious recipes to help them on their paths to improved health. 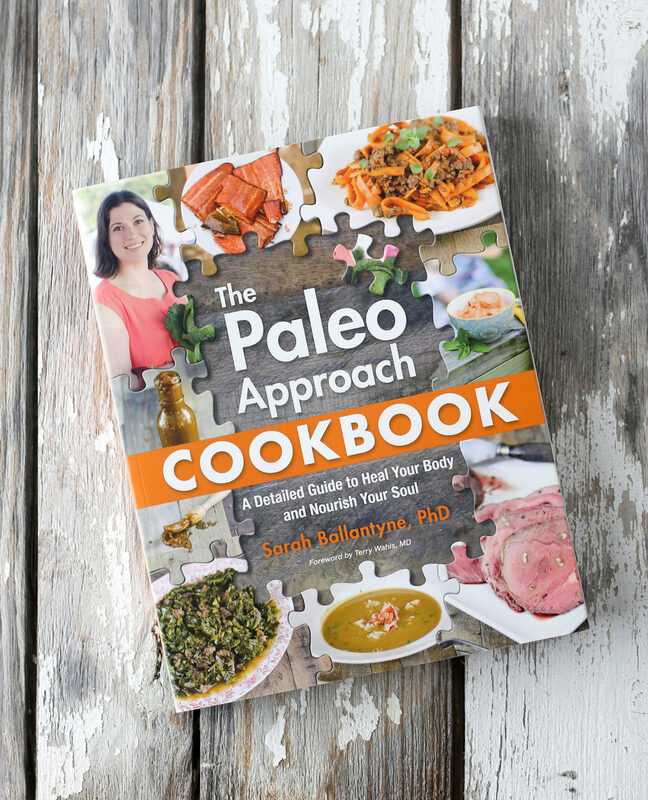 The Paleo Approach Cookbook is more than a collection of autoimmune-friendly recipes-Sarah’s invaluable cooking tips, shopping guides, meal plans, and cheerful encouragement ensure that the only question left unanswered is: How soon can you start?